Best Dota2/CS:GO skins prices on DMarket! 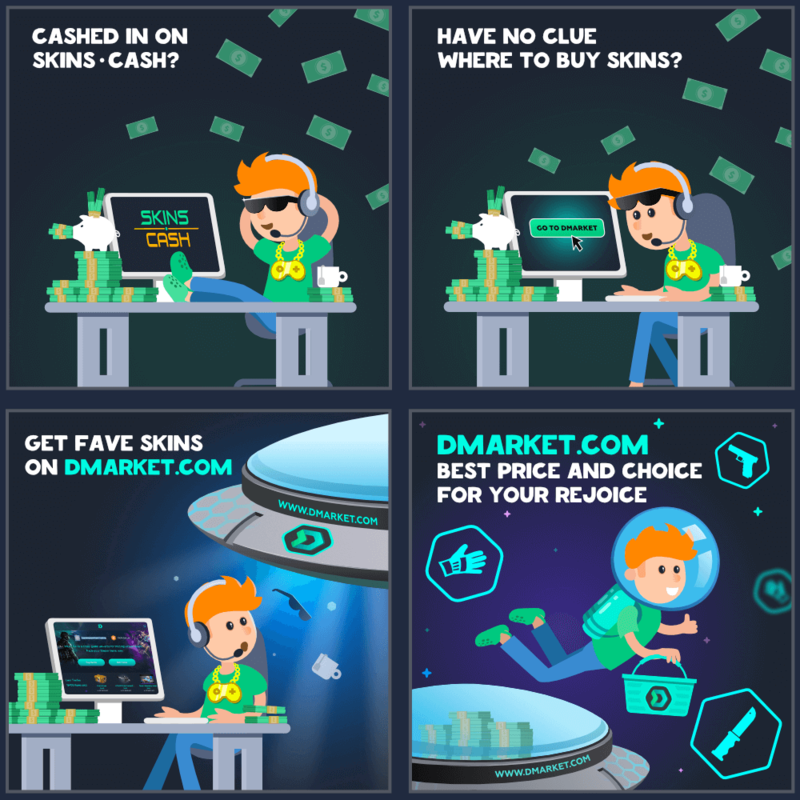 Skins trading market is getting bigger and bigger every year, and if you are not into it, it will just roll over you as well. Buying skins to alter their digital image is something that millions of gamers are doing worldwide, from famous YouTubers to your college buddies. Where to buy CSGO skins? We can offer you to buy CS GO skins and Dota 2 items on Dmarket - one of the biggest in-game items trading marketplaces. How to buy CSGO skins? Just press a proper button below according to what skins do you want to buy (CS:GO or Dota). If you want to buy CSGO skins - press "Buy CS:GO Skins", if you want to buy Dota 2 skins, press "Buy Dota 2 items". Buying CSGO skins was never that convenient. Hop onto the train and get all fancy and trendy. Follow the links below and buy the best in-game items.